Workday is a leading provider of enterprise cloud applications for finance and human resources. Founded in 2005, Workday delivers financial management, human capital management, and analytics applications designed for the world's largest companies, educational institutions, and government agencies. Organizations ranging from medium-sized businesses to Fortune 50 enterprises, have selected Workday. 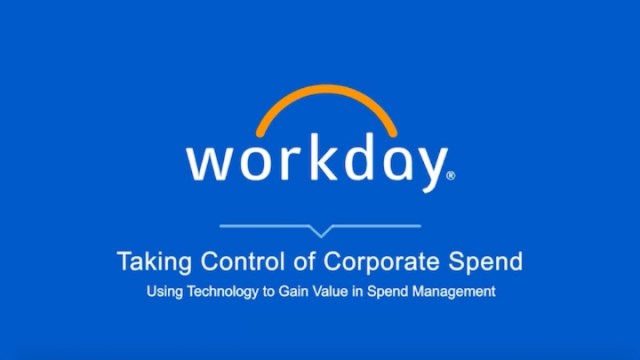 Workday Financial Management combines transactions, accounting, analytics, and “always on” audit in one system. The full range of finance and accounting capabilities in a single system give customers total visibility to make decisions based on data, not guesswork. Today’s CFOs are putting business travel expenses and indirect spend under the microscope to optimize cost savings and achieve operational excellence. But fragmented systems and processes make it difficult for business leaders to control corporate spend. *Understand the new revenue standards. *Determine the proactive steps you need to take to address the new requirements. *Adjust your revenue recognition transition strategy to streamline your efforts. As modern finance professionals, we are facing the most challenging FinTech conditions for decades as we strive to be better business partners. The critical challenges facing everyone from the CFO to FP&A managers across the globe. A better understanding of the changing financial landscape around audit and compliance, cloud ERP and procurement. Why we need to transition to a culture of continuous financial planning. How the finance function can transform into a more strategic business partner. Watch now and learn how you can lead your organization into the future. With a host of exciting new cloud-based technology applications, organizations are now able to utilize their Cloud ERP to better manage and develop talent—leading to increased productivity and higher levels of workforce efficiency, even during these challenging times. Watch the webinar replay “How Leading PSOs Harness Talent and Grow Margins” to gain a better understanding of audit, compliance, expense management, procurement, Financial IT and the current state of the industry and to learn how to improve retention, productivity, and profit. Watch this webinar replay to learn what makes enterprise software, Workday, perfectly positioned to support Aon’s global growth and financial planning while ensuring its client success. Mark Nittler, vice president of enterprise strategy at Workday, will also share his valuable perspectives on the benefits of Cloud ERP and managing financial applications in the cloud. The information your CFO needs around audit and compliance. How Aon expects to benefit from rethinking its financial IT and FinTech. Workday Professional Services Automation (PSA) is designed for organizations that manage and execute client-facing billable projects. Workday PSA is unified with Workday Financial Management for more-accurate customer billing, expense management, revenue recognition, margin and profitability analysis, and financial reporting. With Workday, costs are accounted for on time, and with limited effort for your billing and accounting teams.